HAPi pipeline is designed, constructed, owned and operated by Gujarat Gas Limited (GGL) (formerly known as Gujarat Gas Company Limited). It is 73.2 km long and 18 inch diameter natural gas pipeline. It starts at Hazira in Surat district and terminates at Ankleshwar in Bharuch district. 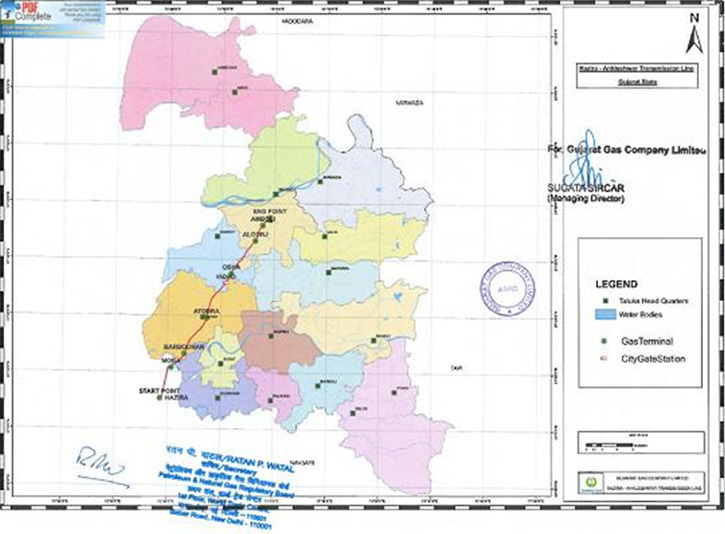 In the year 1997, GGL planned to construct HAPi pipeline, to connect Surat and Ankleshwar for the planned gas distribution network in and around these areas to cater to GGL's own demand. GGL commissioned HAPi pipeline on 10th May 1999. The PNGRB on 5th July 2012, granted authorisation to GGL for the HAPi pipeline. The figure below provides a geo-referenced map authorised by the PNGRB.